To-day was a beautiful day here in Northern Ireland...the sun shone, the birds were singing, not a cloud in sight (very unusual for us here!) & I got loads of laundry done!! I hope it was a nice day with you too. I know you probably won't be able to make it, but so many of you have or are in the process of making blocks for Kind Stitches I don't want you to feel left out! If you are in the area, we would love to have you round! I'm just off to look now for recipes for some lovely food to make... if you have a favourite recipe, I'd love to try it! PS Could some kind soul please put me out of my misery & tell me how to fix the Creative Christmas grab button thingy?? Oh I'd love to be there - but there's the problem of Wales and the Irish Sea being in the way! 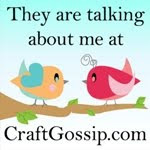 I was going to make my blocks on Saturday while I listen to Dermot - will send quilty thoughts across the sea! Sorry, clueless about the button! Sounds like a great excuse to book a flight over but I dont think my hubby and children would be amused! 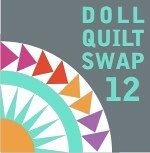 Would be great to organize a quilty weekend gettaway - do we have any such thing in the UK? I hope you have plenty of blocks for making your quilts, Karen. Have a terrific time tomorrow. I sure wish I could come too! Have a great time! I wish i could come too, but it's a little bit too far away ;) Tnx for your comment btw!